This collection of recipes was developed especially for your Crock-Pot slow cooker and can help you make the most of your busy schedule. Place the recipe ingredients in your Crock-Pot in the morning, and your family can enjoy a healthful, delicious, homemade meal for dinner. 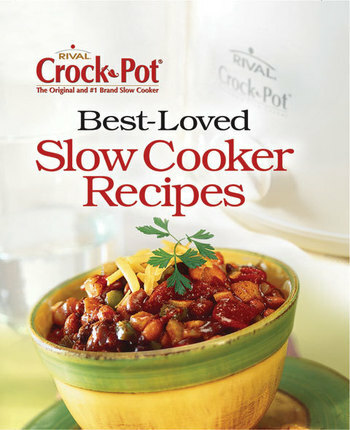 Crock-Pot cooking experts provide you with appetizer recipes, party food recipes, soup recipes, stew recipes, chili recipes, barbecue recipes, and much more. Enjoy classics like Fall-Off-the-Bone Ribs, Mama's Best Baked Beans, Slow-Cooked Pot Roast, and BBQ Beef Sandwiches.